Some people will never see the blessings that are right in front of them. Unfortunately, Life blinds everyone. At some point, you begin your journey to remove this blindness. You start to grow and your vision becomes clearer. You begin to seek knowledge and gain wisdom. It is natural for us to want to share with people around us but we forget that we are growing and not everyone else is or ready to. At this point, when you are so excited to share what is so good for you, this is when you must face reality that you can’t force anyone to grow. You are becoming a new version of you. You are opening your eyes to a new vision. You are seeing all the opportunities around you. You are changing because you have decided to allow your mind to be open and it is aligning itself with the energy required to receive the changes you have requested of yourself. You have arrived on a new plateau of self, which is higher than those around you. During this time, you will begin to question everyone and everything around you. You will not get all the answers you seek and the answers you do get, will not make sense. Some people will come along with you at a snails pace, while others will not and refuse to budge. As much as you are trying to help, it will never be seen as such. It will always be misconstrued or ridiculed. You will be called all types of things but this is part of your growth process. Growing is hard. We normally grow when we are asleep, when the body can do it’s job without the interference of the conscious mind. Imagine if you were awake and you saw your bones actually stretching, you would more than likely be freaked out by the experience. Well this is what is happening now. You are freaked out because you are awake and you can’t instantly comprehend the change you are witnessing. What makes it more weird is the people around you. Those people that are not growing, those that are comfy in their bubbles. We would not know what a day is if we didn’t have the night. Those people around you become markers and some become turning points on your journey to who you are becoming. They become a representation of where you were. This is why it is so easy for us to pass judgment at this time. The only thing wrong about them is YOU. If they are happy [or not] where they are in life, that is their life not yours. Remember you are the one moving and they’re standing still. You have to realize that your blessing is your blessing alone. 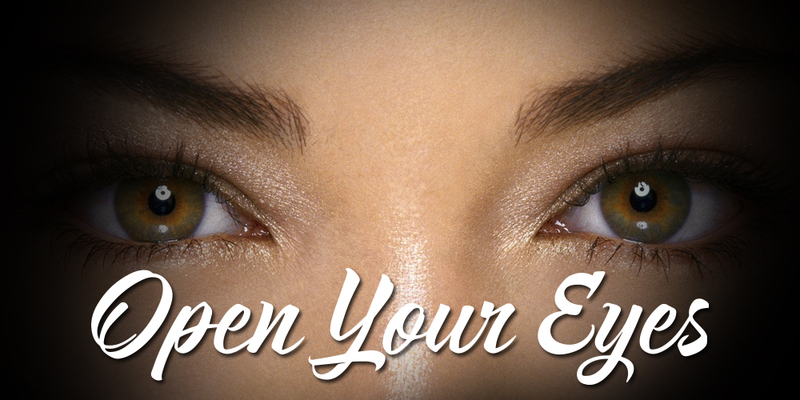 Open your eyes, there is so much to see.